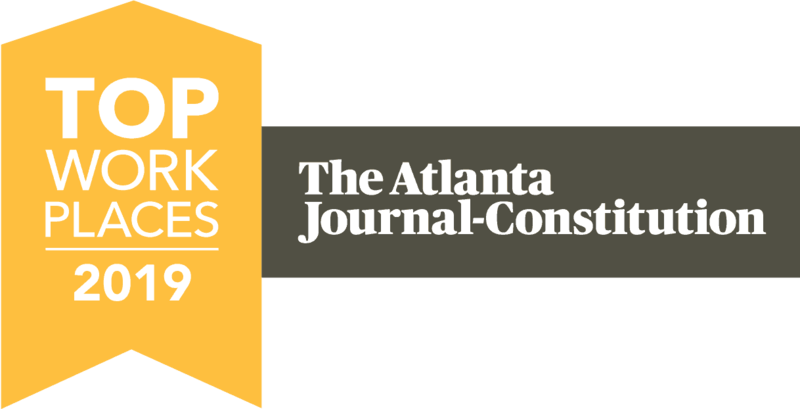 Atlanta, Georgia (March, 2017) – Atlanta-based accounting firm, Moore Colson, has been named one of Atlanta’s 2017 Top Workplaces by the Atlanta Journal-Constitution. It is the seventh consecutive Top Workplaces award for the firm. Moore Colson was recently featured in a special section of the Atlanta Journal Constitution, “Top Workplaces 2017”. The results were also published online at www.ajc.com. Founded in 1981, Moore Colson is a full-service accounting and consulting firm located in Atlanta, Georgia. The Top Workplaces lists are based solely on the results of an employee feedback survey and must meet strict standards for organizational health. Several aspects of workplace culture were measured, including: Alignment, Execution, and Connection, just to name a few. Top Workplaces is administered by WorkplaceDynamics, LLC, a leading research firm that specializes in organizational health and workplace improvement. “When our employees provide anonymous feedback which results in being named a Top Atlanta Workplace for seven consecutive years, it is quite a humbling tribute and a direct reflection of our culture and the type of people we have at Moore Colson. Part of our Mission Statement includes a very important affirmation: ‘Our People are our Most Valuable Resource’, and we regard them as such.” Says Bert Mills, Managing Partner of Moore Colson. “Moore Colson is a very special place. While we make a concerted effort to invest in employee enrichment through training, technology and mentorship, we also understand the importance of spending time with family and friends, work-life balance, and having some fun at work too. From busy season mixers and events, employee anniversary and bobble head awards, to our end of busy season party, family summer outing, festive holiday party, and employee recognition programs (Peak Award and the MC Cup), we strive to make Moore Colson a great place to work.” Says Bert Mills. “We also invest in our community – Our Volunteer Moore Colson program provides all of our employees with an opportunity to give back to our community. Each year we invest countless volunteer hours and other firm resources in local community organizations such as The Center for Family Resources, The Cobb Community Foundation, Eagle Ranch, The Good Samaritan Health Center of Cobb, MUST Ministries, Trinity House – Big Bethel, Everybody Wins Atlanta, The Circle for Children, Atlanta Community Food Bank, Atlanta Area Boy Scouts, and Feed My Lambs.” Says Bert Mills. 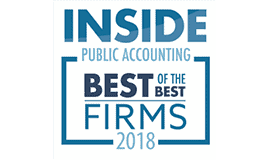 Moore Colson is one of America’s Top 200 Largest CPA Firms and has been a Best of the Best Firm each year since 2013 by IPA Magazine, and has been recognized as one of Atlanta’s Top Workplaces by the Atlanta Journal Constitution every year since 2011. Founded in 1981, Moore Colson is a full-service accounting and advisory firm located in Atlanta, Georgia providing Tax Consulting & Compliance, Auditing, Corporate Accounting, IT Risk Advisory & Compliance, Internal Audit Outsourcing, Sarbanes-Oxley Consulting, Management Consulting, Transaction Services, Estates & Trusts, Lender Advisory Services, Turnaround Consulting, Forensic & Litigation Support Services, and Fiduciary & Bankruptcy Services, and serves clients throughout Atlanta and the southeastern United States. Moore Colson is an independent member firm of PrimeGlobal, an international association of independent accounting firms and business advisors. For more information about Moore Colson, call 770-989-0028 or visit www.moorecolson.com. Headquartered in Exton, PA, WorkplaceDynamics specializes in employee feedback surveys and workplace improvement. This year alone, more than two million employees in over 6,000 organizations will participate in the Top Workplaces™ campaign—a program it conducts in partnership with more than 40 prestigious media partners across the United States. For more information about Top Workplaces lists and WorkplaceDynamics, visit www.topworkplaces.com and www.workplacedynamics.com.